A limit of no more than TWO Snapshots/Steam Workshops or 3 Techs in a GAME SAVE per player, please If submitting a GAME SAVE please specify if it's R&D or Creative in your submission. This R&D save got a really cool enemy BF base in it, its big and its mean! He is back in action, improvements over the last model include better automated orientation mechanisms and increased firepower, stiill no shielding or repairing. First pitch up until you are pointed upwards like in the picture, using lift instead also works, it's airplane controls with strafe and lift binded to the side arrows and page up and down, careful how you fly it, strike from above. W moves you forward and activates thrusters, S moved you backwards, A and D for turning, Q and E for strafing, pageup and pagedown for lift, and can sky-anchor. W/S to pitch, A/D to turn, Q/E to roll, but it almost don't need roll. Shift to go forward. The most revolutionary part is, this one don't have any of anti-gravity to use its power(我们叫这个为电反), only hover-bug(我们叫这个为反重), but when it pitches it will still stable and stop in sky. It's really a sniper over enemy 's head. Gotta have me a proper monster truck, eh? 3. While flying, Use arrow keys to maneuver. there are little wings and adjusters on it, so you can add torque in any direction even mid-air. Also good for wheelie control. Check my video on the workshop about some basic maneuvers! It floats along and turns reasonably well, and can be anchored to charge it up. That said, be sure to charge it up before you try fighting turrets or anything. The hover power and block controllers are set slightly towards the front, so expect it to drive that way. Good as a HoverTech, also good as a turret! All the side Lasers are pointing down, but thats where most enemies will be anyway. "The Quorg have invaded from a Spacey Dimension, can you defeat them, or will you be 'Absorbulated'..."
And as I typed this, it hit me, the Venture SCU just makes the joke EVEN BETTER!!! Please load R&D save file, look quickly at tech designs, fight the enemy clones in the distance (if there's time). Load them from the snapshots in the next post if that's easier for the stream. I'd have made the save in Co-op creative, but for the lack of crafting blocks (on the larger tech). Enemy tech snapshots (from save in above post). "Ven SuperCar DAC" - I started out with the concave bonnet/front wing and went from there, ended up a little more Formula 1 ish. Fast and with a decent amount of battery power. Lots of understeer with these wheels. Has been tested to cope OK with modest hills. "Formula Rough" - combining the new F1 wheels with Springer Wheels, front and back, to get the high top speed and acceleration with good handling of rough terrain too. As an enemy, it wants to speed up close to do short range weapon damage. "Ven StockCar" - cute little racer, using the smaller Medium F1 wheels. Their characteristics make this very prone to tipping under player control (in conjunction with the Rapid Canon's weight, atop). But the AI somehow handles it far better and there's a gyro with helps flip it back upright anyway. I've got a pair of techs this week which are meant to work together. Warthog: Mobile power distribution meets battle barge. Standard hovercraft controls, recommend leaving lift at 100. W + Down Arrow + Shift to fly. Shoot down enemy techs and trees! Bee: Combat drone and resource collector. Hover height tuned to pick up resources and drop them off at a player controlled Warthog. WASD +Q/E for movement, Shift to fly. General way to play this - Firstly, charge it before use (at least half the battery level). Then, make it hover right above a target and melt the target with the destructive laser beams. You can adjust its hover height by using the up/down key mentioned above. "GX Lazerus": a prototype that shoots hot beams of lasers at the target below. Yes i will com core Cloud City when it's finished. No idea when that's gonna be. Anyways COM CORE Entry... Yet another UFO Design, this one yet unnamed. Not much instruction here. Use on Standard AeroPlane controls. page up/page down lift controls are your friend, use them often as well as strafing for erratic flight patterns on both vertical and horizontal axis for Extream Evasive abilities. Boost to rocket upward very fast. to land, drop all lift (the Hovers will catch you very close to the ground), then negative lift to pin to the ground. Landing gear allows for level landings on uneven terrain. This Particular Model Showcases the Zero Point AG cannons, D-Laser Artillary, and Claw Plasma Lances concentrated on a deadly 'Bombardment' style assult on enemies beneath. 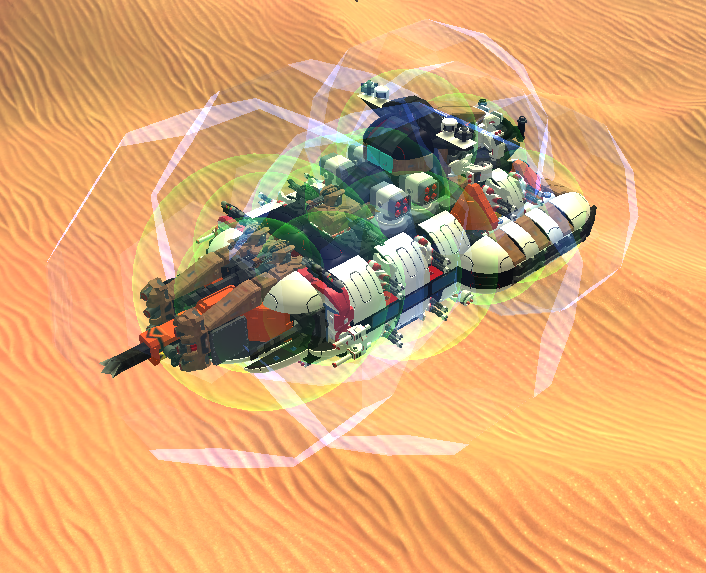 This is a creative save on TT_unstable (last version) where I showcase three of my new tanks (or four if your want to see the one at the back, it's a little bonus). I hope you'll love them ! If you get some turret problems (like if they jump out) just restart the save it will be easier for you. Techs are already charged. I say copy/paste from your last submission post here, assuming it’s not too late already. That train looks amazing, I want to see it in action! yeah, it happens every now and then. Just re-post it on the next week and say you got skipped. The Devs make Mistakes but they are pretty good about not making the same ones twice.